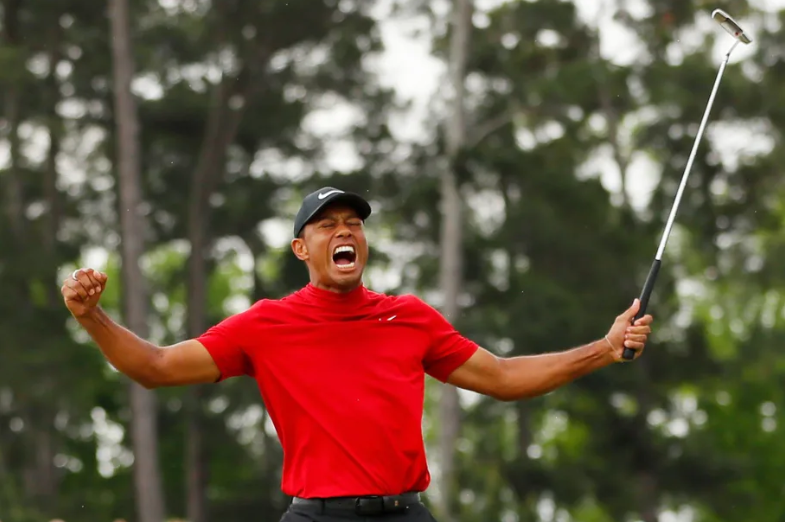 American professional golfer Tiger Woods unexpectedly won his fifth Masters title yesterday, with a performance that is already being described as one of the greatest sporting comebacks of all time. His victory is also a major win for his sponsors, most notably Nike who released a moving advert congratulating the athlete just moments after his historic win. The video closes with footage of three-year-old Woods saying ‘I’m gonna beat Jack Nicklaus’ the current record holder of 18 major titles to Woods 15, before the iconic words ‘Just Do It’ appear on screen. Since Sunday evening, the video posted from Nike’s Twitter alongside the words ‘Never stop chasing your crazy dream #justdoit’ has accrued over 20.4 million views. Responses to the ad have been overwhelmingly positive and suitably emotional. 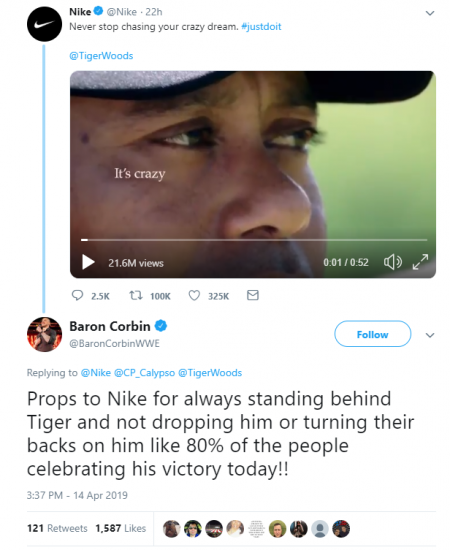 Whilst sponsorship was withdrawn from companies like Pepsi, Gatorade and General Motors during Woods highly documented fall from grace in the early 2000’s, Nike has remained a loyal sponsor since 1996. It appears that loyalty pays as according to Bloomberg, Nike has earned an estimated £22 million in exposure from Sunday nights coverage alone.